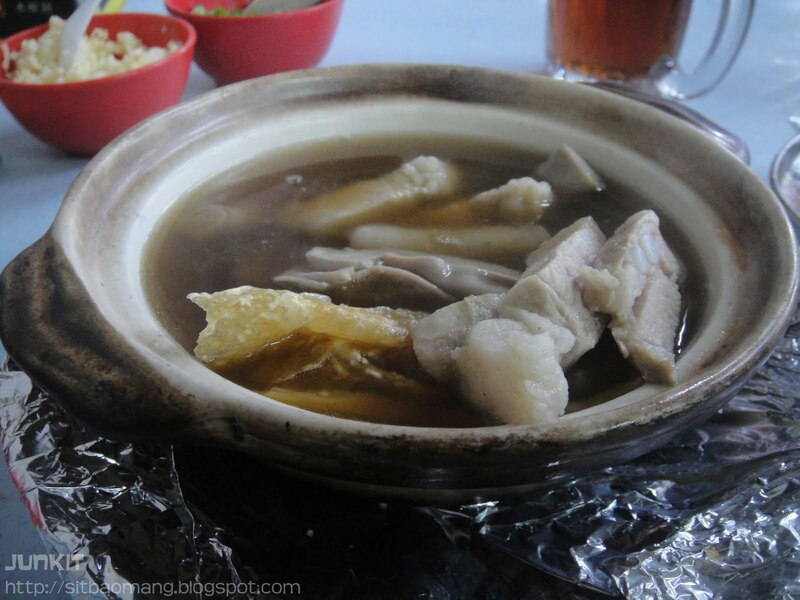 Like any other normal Chinese Malaysian, bak kut teh is the ultimate heart warming food for us. This herb soup concoction with pork, vegetable and other stuffs is supposedly to be good for your body; mainly from the herbs. 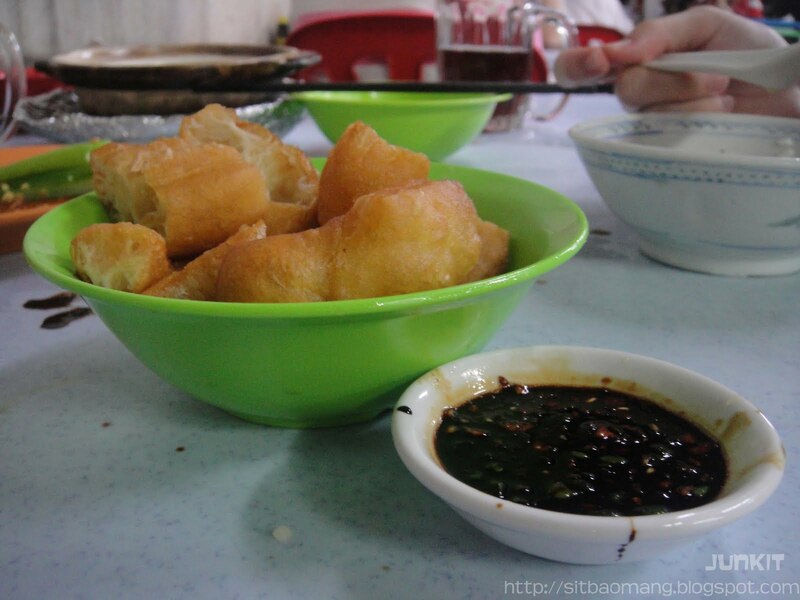 As far as I know, bak kut teh was the food for the strength source for kulis of Port Klang during the early era of Malaysia; hence the origin place. Ah Wong's bak kut teh in Old Klang Road has caught my attention for numerous times with overflowed customer starting from evening till late night. We went and give it a try for dinner out of curiosity. True enough. Customers was flocking in and was full by the time we were half way finishing; around 8.30pm. Business was so good even on a Wednesday. The normal utensils for a bak kut teh meal. By the way, the only time where I think I could mix dark soy sauce and chili padis; and yet go well with the food is only during eating bak kut teh. The soup version of Ah Wong's bak kut teh (RM8 for 1 pax portion). Ah Wong's version is the clearer version compared to the others and the herbs amount was not that strong. Just enough to give some hint of herbs. The ribs were good, tender and juicy. All in all, I felt their bak kut teh is acceptable in KL area; but lost quite a bit if compared to ones in Port Klang; or better competitors (will write about this in the future). 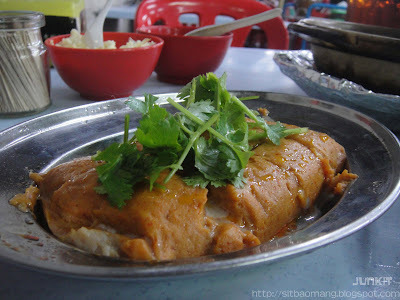 Muar Otak-otak (RM11). Not recommended at all given the price tag. As far as I know, this version that is served is bought from shops in a box and just steamed when ordered. The otak-otak felt mushy and hollow. By hollow I was meaning that the center of the otak-otak felt empty; something like a sponge cake. Not sure if it's meant to be like that but not to my liking. Credits to the gravy though; tangy and spicy. 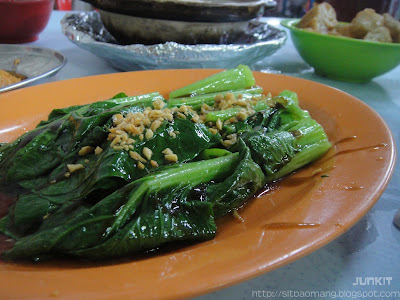 Some Oily Choi Sum (RM5) to go with our meal. Fresh, simple and the garlic provides a crunchy and aromatic biting texture. For me, a good bak kut teh meal must always be accompanied with some fresh fried Chinese crullers (yao zar guai) to be dip into the soup and some chili padi mixed with dark soy sauce. 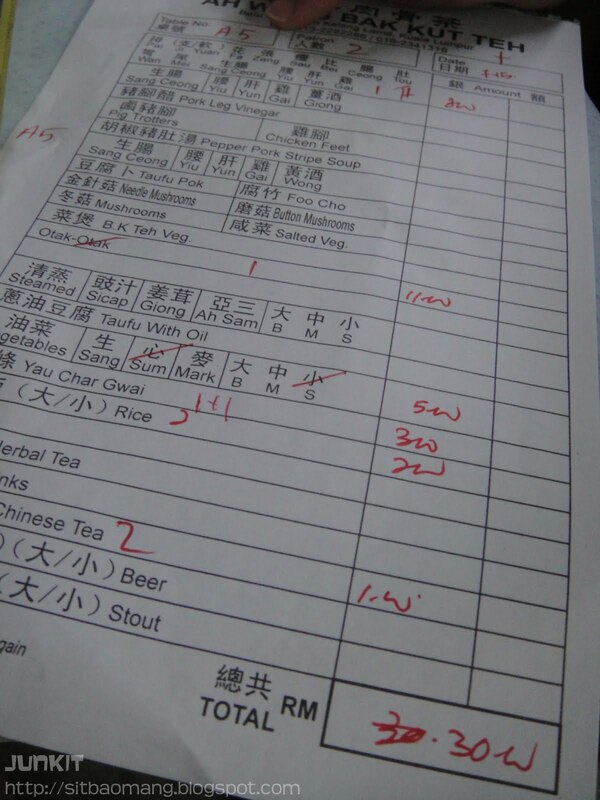 The total bill came up to RM30; with drinks for the two of us. Omit the otak-otak, it's pretty reasonable for 2 people for less then RM10 per person. By the way, I heard the steamed fish served here are very good and that's the main reason why people keep coming besides the bak kut teh. Will certainly return with more makan kakis the next time to just try out their steamed fish. Exactly, plus the otak-otak too expensive! I can get like half price lesser than that if bought from packaged boxes. Hahaha your char siew post already got me drooling laaa. 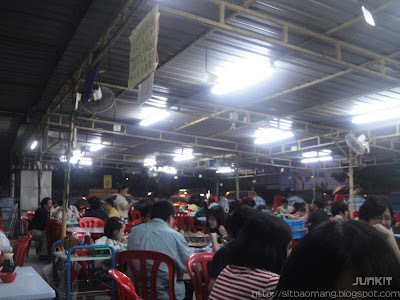 You should come OUG and nearby here at Old KLang Road; alot good food. LOL. Haha sure sure, gladly lol. I been to this place. The bak kut teh wasn't that good. However, their steam fish was much better. Usually, there are many cars parked by the road side which makes the whole place pretty congested. Nigel, parking there really was confusing but thank god there were attendants handling huh. How's the price for the steam fish? Wanted to try that day but just me n my girlfriend; rather hard to order up a feast =P Lol. 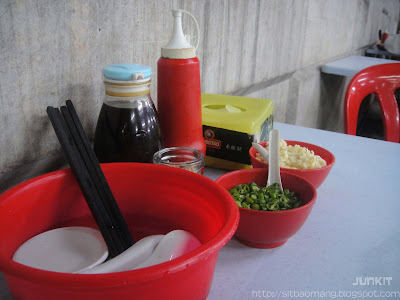 Wah.. don't you noticed about the small bowl of rice that they charge you at RM1.50 per bowl. That's pretty expensive. Just went there last week.